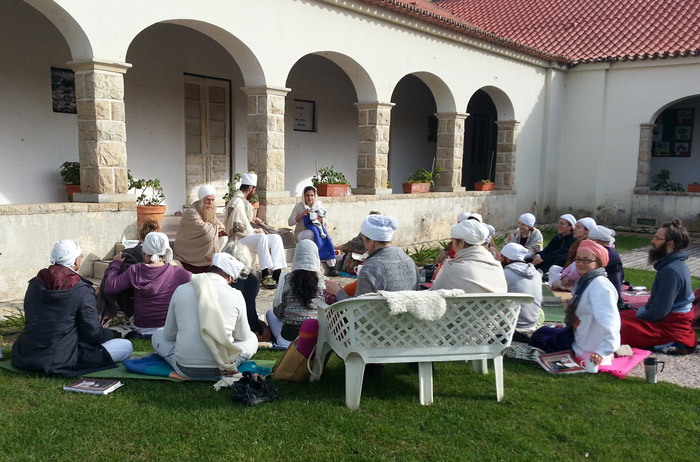 This course is suitable for anyone who wants to become a Kundalini Yoga teacher or for those of you who want to deepen your understanding and experience in the transformational practice of Kundalini Yoga and related lifestyle as taught by Yogi Bhajan. 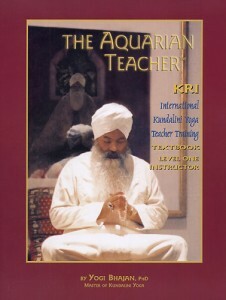 You will be taught by an experienced teacher training team from the Karam Kriya School, founded by Shiv Charan Singh. The course is structured over a series of 3 One-week Residential Modules in the Heart of the UK (venue to be confirmed). Origins and foundations of kundalini yoga. Stages of its development. Definition of yoga and yogi. Types of yoga. Purpose of yoga. Golden Chain. Adi Mantra. Basic class structure. 3HO Code of Professional Standards for Kundalini Yoga Teachers. Teacher’s Oath. Identity of a teacher. Shabd Guru — The quantum technology of sound. 4 Yugas. Aquarian Age. The changes and the challenges of the times. Mantras — their meaning, effects and how to chant them. Sensory human. Body as a communication system including introduction to nervous system, meridians glands. Sadhana: your personal spiritual practice. Western anatomy including body systems, organs and glands. Yogic anatomy including tattwas, nadis, bandhas and chakras. 5 senses, 5 passions, 5 vayus. Nadis and Bandhas. Chakras. Kriyas and asanas (angles, triangles, rhythm). The effects/benefits/cautions. 5 niyamas in relation to asana. Knowing and sharing the technology of the times. Body, breath, brain, consciousness. Respiratory system. Meditation, types, stages, states, concentration, time in minutes and days. Mantra, Celestial Communications, Mudras, Prayer, Banis, Sat Nam Rasayan healing. Tantra: black, red, white, Mahan Tantric. Humanology – the possible Human Being. The soul coming into birth, 120 days, life cycles. Being fe/male. Growing up, lifecycles. Yogic lifestyle – the 3 gunas and 3 doshas. A day in the life of a yogi: waking, ishnaan, sadhana, yogic diet, prayer, bed. Relationships: the highest yoga — from perspective of spiritual psychology. Addiction and how yoga helps. Roles and responsibilities in and out of class setting. The art of being a student: Obey, Serve, Love, Excel. 5 steps to wisdom, the 4 errors, 2 laws of the Kundalini Yoga teacher. The art of being a teacher: Poke, Provoke, Confront, Elevate. Class structure, preparing to teach. Setting and maintaining tone and environment. Class & curricula preparation, relation to students, administration, PR, Gurudakshina. Yogic philosophy. Common ideas in different schools, glossary of key words. Ladder of subtlety and cycle of manifestation. Patanjali, yamas and niyamas, Pratyahaar to Samadhi. Relation of KY and Sikh Dharma. Teaching in different spaces, different levels, and different groups. Relaxation — its importance, different techniques. Community and continuity. Resources for the teacher. Throughout the training there will be student practicum (teaching opportunities) with feedback from other students and from experienced course mentors. During the course we will also find time to watch videos of Yogi Bhajan teaching and to complete classes/meditations under his virtual and subtle guidance. We will study chapters from the Master’s Touch lectures and there will be time for group discussions of the teachings. 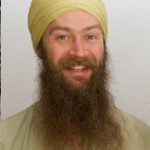 Hari Krishan Singh (Lead Trainer), Hari Krishan is co-founder of the international Kundalini Yoga and Karam Kriya Centre ‘Cherdi Kala’ in Rotterdam, the Netherlands and of Karam Kriya Nederland. He became a student of Shiv Charan Singh (founder of the International Karam Kriya School) in 2003 and has been training with him since. He is now blessed to work as a Kundalini Yoga Teacher Trainer, Karam Kriya Teacher and Consultant throughout Europe. 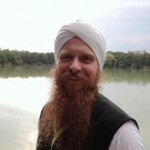 Angad Singh is a Kundalini Yoga Teacher Trainer, Shiatsu practitioner, Karam Kriya Numerology Trainer & Spiritual Coach. After many years on the spiritual path he found the truth he had been seeking through his teacher Shiv Charan Singh and teachings of Yogi Bhajan. He now lives to serve others on their journey. He has recently returned the UK after 4 years serving as Director of Château Anand, the European Kundalini Yoga Ashram in France. He is a Director of 3HO International and an advisor to KYTA (UK). Angad is the local organiser for the training and will be present throughout the course. Bachitar Kaur is co-founder of the International Kundalini Yoga & Karam Kriya Centre Rotterdam, is an internationally qualified Kundalini Yoga Teacher (KRI), Karam Kriya Teacher and Consultant (Karam Kriya School, London), certified BusinessYoga Teacher, certified Systemic Coach (Academy for Systemic Coaching, Cologne) and qualified Usui Reiki® Master. Satwant Kaur trained in teaching Kundalini Yoga in Vancouver & London. She has been a teacher for fifteen years. She is also a Singer and musician, she has a keen interest in Yoga of Sound and chanting of mantras. She also has specialism in Eastern and functional Western anatomy. The teaching team will be supported by Mentees who are training to be Teacher Trainers provide support for you on your journey in becoming a teacher of Kundalini Yoga. The course is open to all students of Kundalini Yoga, if a student has little or no experience then a recommendation letter from one of the course tutors or a teacher will be required. Attendance at the whole course including practicum weekends. Record attendance at 20 KY classes during the training period or within 6 months of the end of the course, independent of Yoga taught during residentials. Complete a 40 day meditation and keep a journal of the experience. Pass a written exam, take home exam and produce hand in two pieces of course work. Full payment of course fees as set out on application. All 3 residential weeks will take place at a beautiful retreat centre in the West Midlands. We are currently waiting for final confirmation of venue and dates. Fees include: Training Fees, Certification, Course Text Book (The Aquarian Teacher), Food, Shared Accommodation (en-suite rooms of 2-4). Please note fees do not include: Travel to and from venue, registration for white tantric yoga. If you would like more information or are ready to sign up drop us a message.